Paul Heller was born in 1991 in Köthen, Saxony-Anhalt. There he received his first musical education by taking piano lessons. From 2000 to 2009 he was member of the St. Thomas Boys Choir Leipzig under the leadership of St. Thomas Cantor Professor Georg Christoph Biller. Paul began his studies of vocal repetition with Professor Helga Sippel at the University of Music and Theatre 'Felix Mendelssohn Bartholdy' in October 2010. Another mentor of his is Professor Alexander Schmalcz. He took classes in conducting, accompaniment and chamber music, his lecturers being Professor Georg Christoph Biller, Bernhard Kastner, Professor Irmela Boßler and Christian Sprenger. He actively participated in classes by Professor Wolfram Rieger and Eric Schneider. Paul assumed the role of temporary conductor of the chamber orchestra in Döbeln from February to October 2011. In March 2013 Paul performed the cantata Der Tod Jesu by Graun in close collaboration with both the chamber choir of the Sing-Akademie and the Junges Barockorchester from Berlin in the church Sophienkirche in Berlin. 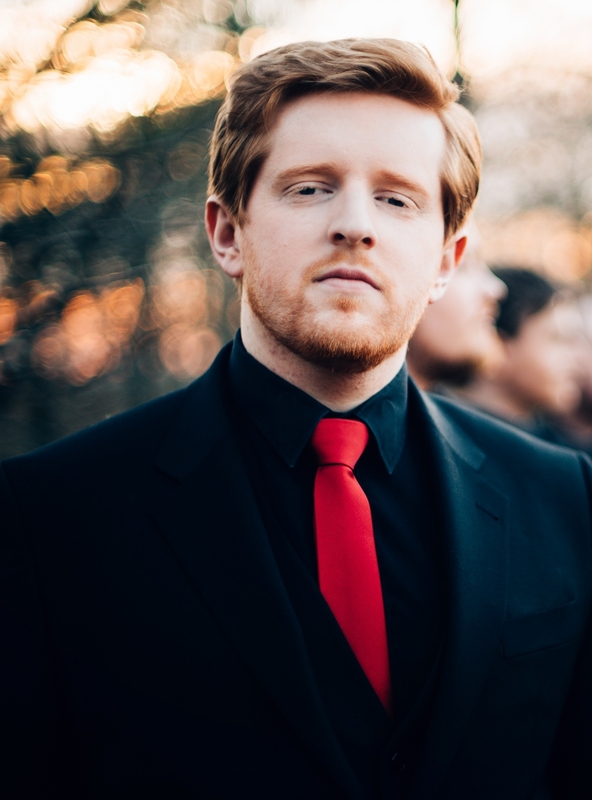 As an accompanist, Paul Heller has a close collaboration with baritone Ludwig Obst und countertenor Stefan Kahle. Paul’s compositions have been premiered by, amongst others, the St. Thomas Choir Leipzig, the Mendelssohn Chamber Orchestra and Ensemble Nobiles. In 1989 Christian Pohlers was born in Leipzig. At the age of 6 he took his first lessons at the piano and in music theory. He was chorister of the St. Thomas Boys Choir from 1999 to 2008 under St. Thomas Cantor Professor Georg Christoph Biller. He often performed solo parts. Christian has been studying music at schools at the University of Music and Theatre 'Felix Mendelssohn Bartholdy' since 2009, his main subject being voice. Additionally, he has been studying Anglistics and Latin for teaching certification at the University of Leipzig. 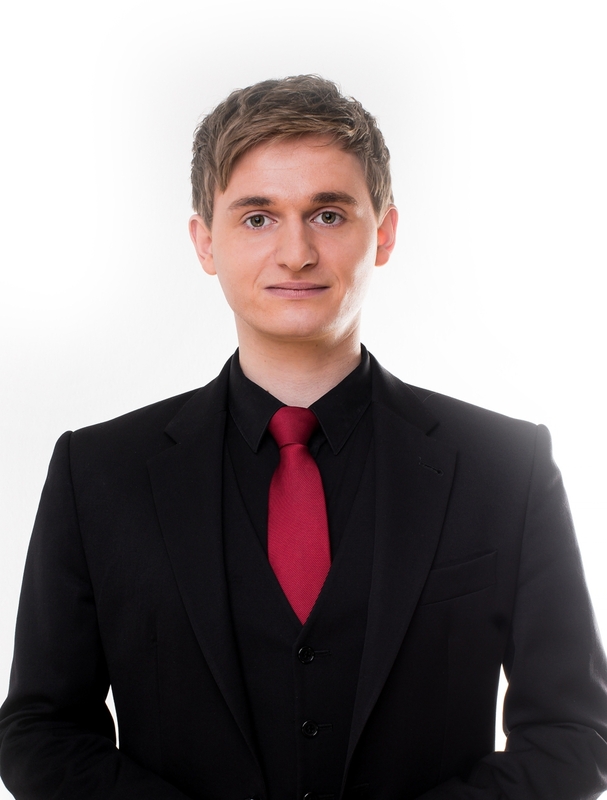 Since 2014, Christian Pohlers has studied singing with Prof. Regina Werner-Dietrich. For his studies of music at schools he portrayed Monostatos in Mozart’s “Magic Flute” and Loge in Wagner’s Rhine Gold. He performed the solo part of the Evangelist in both Händel’s and Schütz’s version of “St John Passion” and appeared in Graun’s cantata Der Tod Jesu. In 2014, he made his debut at the Theater Nordhausen in Offenbach's ‘The Bandits’ as the Earl of Gloria Cassis. Christian Pohlers has been receiving the Live-Music-Now scholarship. Born in Bromley, south east London, Benjamin Mahns-Mardy began his musical training at the age of 6 by taking up the cello. Whilst still in primary school, he took up the clarinet and then later at the age of 11, took up the drums. Playing in ensembles, orchestras and singing in choirs at school and at the Bromley Youth Music Trust (BYMT), very quickly became part of the daily routine. At the age of 17, after auditioning for the Musical Rent, he received his first solo coaching to prepare for the role of Collins. A last minute change of heart gave Benjamin the impetus to apply for Musical theatre degrees. He then, subsequently studied for three years at Trinitylaban in Greenwich. He is currently nearing the end of his studies in an MA Opera degree at the Hochschule für Musik und Theater „Felix Mendelssohn Bartholdy“ Leipzig, studying with Prof. Berthold Schmid. Theatre and concert engagements have allowed Benjamin to perform at the Händelfestspiele, the Opera Chemnitz, Landesbühnen Sachsen, Central Theatre Leipzig, The Capitol in Mannheim, as well as multiple venues in the UK, the United States and Spain. Benjamin is also currently working on libretto texts for song cycles, together with german composer, Peer Baierlein. Lukas Lomtscher was born 1989 in Frankenberg, Saxony. He grew up and went to school in Marbach, where he also made his first musical experiences in form of violin lessons by his mother. He later began singing in the church choir, the Marbacher Kurrende and the Roßweiner Kurrende. He had been a member of the St. Thomas Boys Choir from 1999 to 2008 under the leadership of St. Thomas Cantor Professor Georg Christoph Biller. During this time, he was awarded the Jakob-Petzold-Legat for his exceptional commitment as boy soprano. He began studying history and political science for teaching certification at the University of Leipzig in late 2009 and was awarded the degree Bachelor in September 2012. He went on studying Bookselling and Publishing Management at the HTWK Leipzig, focusing on the aspects of communication. He occasionally sings in several ensembles in Leipzig, for example the Gewandhauschor Leipzig, the chamber choir Josquin des Préz, the Concerto Vocale and the Bach Consort. As a soloist, Lukas has performed, among other pieces, a solo cantata by Telemann in Doebeln. During his time with the St. Thomas Boys Choir he took singing lessons under Gotthold Schwarz. He has been receiving academic training as a singer since 2009 by Susanne Krumbiegel. In the school years 2010/ 2011 and 2012/ 13 he received a promotional scholarship for outstanding singers by the Free State of Saxony. Lucas Heller was born in 1991 in Köthen, Saxony-Anhalt, where he received his first musical training in playing piano. He had been member of the St. Thomas Boys Choir from 2000 to 2009 under St. Thomas Cantor Professor Georg Christoph Biller. He often performed as choir soloist. After finishing grammar school, he begann his training to become a banker at the Sparkasse Leipzig, which he successfully completed in February 2012. Today he commits himself to the study of musicology at the University of Music and Theatre 'Franz Liszt' Weimar (Bachelor finished at the University of Leipzig in September 2016). Since 2013, Lucas Heller has been a board member of the Förderkreis Thomanerchor Leipzig e.V. Since 2015 he is CEO of the St. Thomas Boys Choir Leipzig's Sponsors Society. He often helps out in other ensembles in Germany, for example the Gewandhauschor Leipzig, the chamber choir Josquin des Préz, the Concerto Vocale and the Vocalensemble Rastatt. Solo performances, for example, as Jesus in Heinrich Schütz's St Matthew Passion and the bass part from Bach's Magnificat, round out his musical role. As a member of the St. Thomas Boys Choir he took singing lessons by Stephan Heinemann. As of February 2011 he is a student of Susanne Krumbiegel. In 2014/2015, he received a scholarship for singer promotion by the Free State of Saxony.